US military has confirmed that the US-led coalition have launched five airstrikes on the Islamic State militants – one of them hit the Syrian territory, while four others hit Iraq. 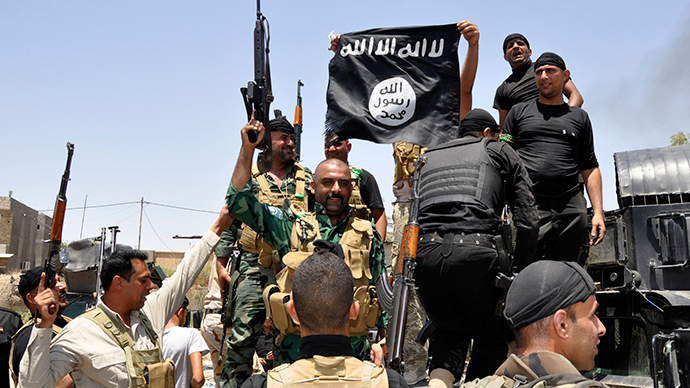 "Two airstrikes west of Baghdad destroyed two ISIL armed vehicles and a weapons cache. Two airstrikes southeast of Irbil destroyed ISIL fighting positions. A fifth airstrike damaged eight ISIL vehicles in Syria northwest of Al Qa'im. All aircraft exited the strike areas safely," the US Central Command said in a statement on Wednesday. Pentagon officials told NBC News that that the airstrike northwest of Al Qaim damaged eight vehicles linked to the Islamic militants. 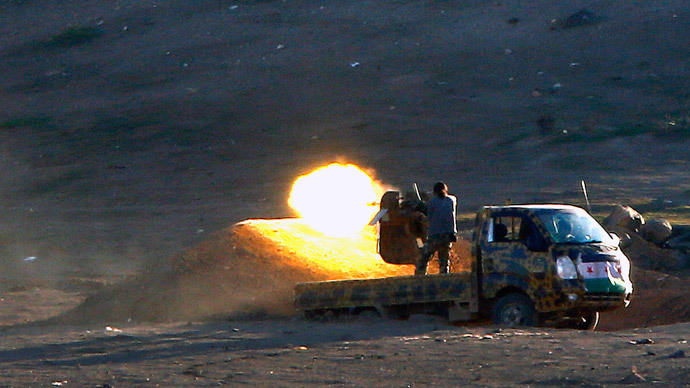 The strikes in Iraq west of Baghdad targeted two vehicles and a weapons cache, while the terrorists’ "fighting positions" were hit southeast of Erbil. The main target of the strikes was an area used by the Islamic States (formerly known as ISIS/ISIL) militants to move equipment from Syria across the border into Iraq, Rear Adm. John Kirby also told CNN. Various attack, bomber and fighter aircraft were used for the strikes, and all aircraft were able to leave the area unharmed afterward. Earlier in the day, Britain-based Syrian Observatory for Human Rights reported airstrikes in and around the eastern Syrian city of Boukamal. The head of UK-based organization Rami Abdulrahman said the strikes also hit the territory 30-35 kilometers to the west of the strategic city of Kobani. He added that military planes that conducted attacks came from the direction of Turkey and were not Syrian. In the fight against the extremist militants in Syria and Iraq, the US-led coalition will will not only use ongoing strikes, but also foreign fighters, cutting off financing, and a major effort to "reclaim Islam by Muslims," US Secretary of State John Kerry told CNN's Christiane Amanpour on Wednesday. The US and its allies have vowed to combat the IS militants, who have been on the rampage in parts of war-torn Syria and Iraq. The anti-IS coalition, led by the US, was joined by nearly 40 nations including five Arab nations – Jordan, Saudi Arabia, Bahrain, Qatar and the United Arab Emirates. 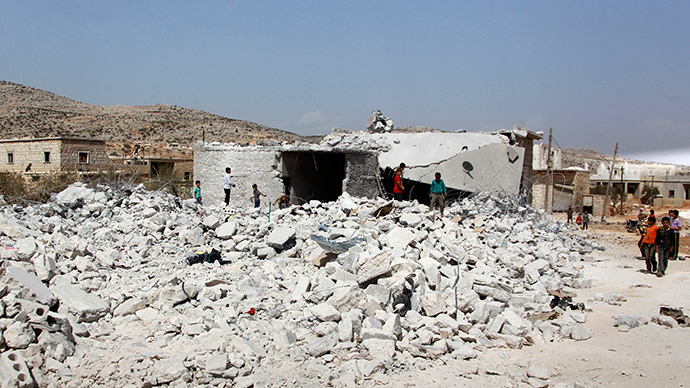 The first attacks in Syria were launched on Tuesday with 30 militants allegedly killed in the airstrikes. Syria has repeatedly warned that any action on its territory needs the government’s approval and has said it is willing to work with any country to tackle the IS militants. "Any action of any type without the approval of Syrian government is an aggression against Syria," Ali Haidar, minister of national reconciliation affairs, told reporters in Damascus earlier in September. Moscow joined Damascus by stating that Washington should respect the sovereignty of Syria in its attempts to deal with the Islamists in the region. Russian Foreign Minister Sergey Lavrov said Sunday that there is need for “strict adherence to the UN Charter and international law as well as unconditional respect for Syrian sovereignty during the implementation of plans by the US-led coalition, which includes the use of force." 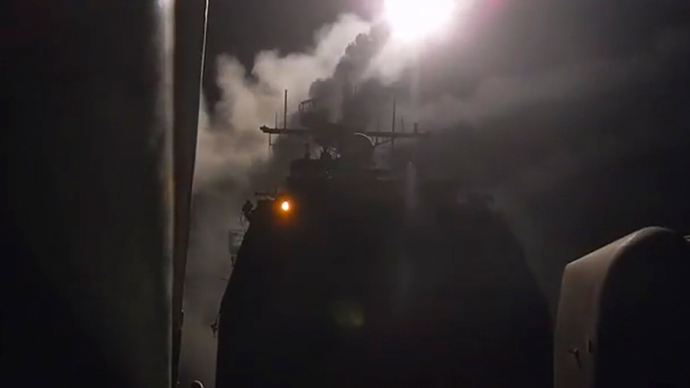 On Wednesday, Moscow questioned the effectiveness of the airstrikes, saying that it was a “controversial” issue. The ministry added that “despite the loud statements about the campaign’s ‘successes,’ the IS terrorists continue to block the Kurdish town of Kobani [Ayn al-Arab] in northeast Syria. In the event of its capture, the inhabitants will obviously be brutally repressed, if not completely annihilated." Meanwhile, a Syrian government minister said that the fight against IS militants is going in "right direction", as Damascus has been kept informed. 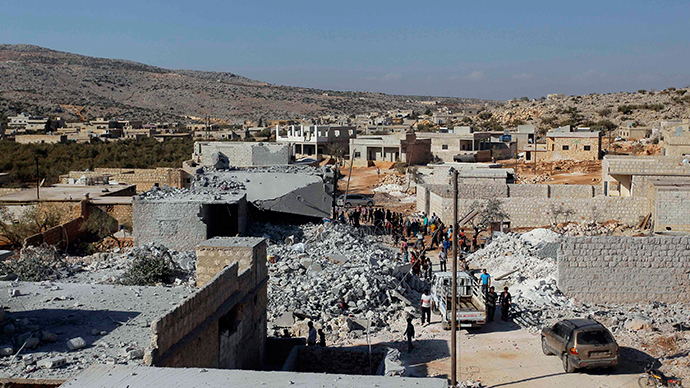 "What has happened so far is proceeding in the right direction in terms of informing the Syrian government and by not targeting Syrian military installations and not targeting civilians," Ali Haidar, minister for national reconciliation, told Reuters on Wednesday. 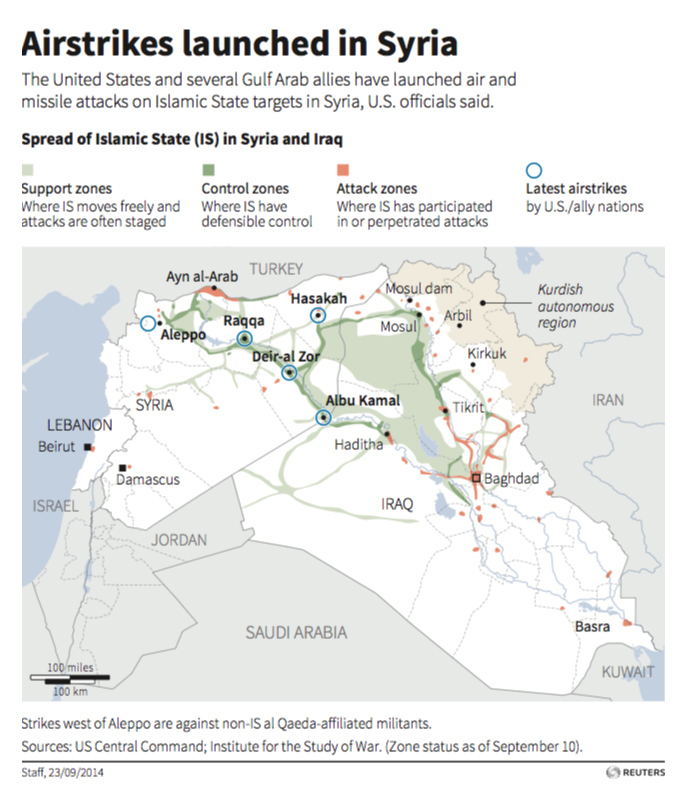 Earlier this year, the US launched a military intervention against IS in Iraq. In June, US President Barack Obama began to deploy US military forces to the Middle East country, while in June the military started the aerial campaign against the terrorists, conducting more than 150 airstrikes since.